Napier: India captain Virat Kohli Tuesday stressed on the importance of all-rounder Hardik Pandya's presence in the ODI side in order to get the ideal bowling combination for the World Cup. 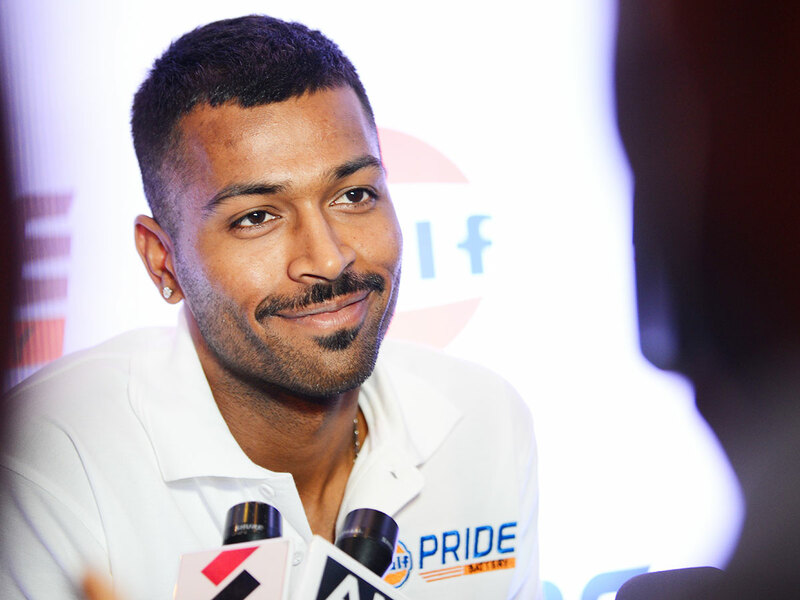 Pandya has been suspended pending inquiry after his sexist comments on a TV chat show and already the Indian team have had issues with their third specialist pacer ahead of the five-match ODI against New Zealand starting Wednesday. When asked if there can be an ideal bowling combination, the skipper said: "Depends on the all-rounder to be honest. If you see the strongest sides in the world, they have two all-rounders at the least, some sides have three, so that gives you a lot of bowling options." "Only if someone like a Vijay Shankar or a Hardik doesn't play, then (only) three fast bowlers makes sense. Because if an all-rounder can chip in with a few overs of seam up, then you don't necessarily need a guy bowling 140kmph as the third bowler along with the two fast bowlers," Kohli said ahead of the first ODI at McLean Park. "Also to try a few players here and there and see how they react to different situations or different positions in the team. We are open to doing that as well. "You don't want to be too rigid because you want to be flexible in your mind and in your preparation to be able to competitive during a big tournament like the World Cup," the skipper explained. "I think we need a good balance of both even if we back a few players to play at some stage, the idea is still to win the games and not just think of it as an experiment," he set priorities right. New Zealand grounds presents a different challenge for bowlers with the boundaries on the shorter side. "You have to aware of side boundaries being really short in most of the grounds, so targeting the right areas of the ground becomes very important but I think bowlers require more composure here in terms of which are the shots that batsmen want to play, so you have the best chance of getting them out or restricting boundaries," the skipper observed. "Well we have seen a lot of things that happened from the last series (2014) that we played here, like what were patterns and how the guys were trying to get us out last time, we were probably not an experienced a side back then in terms of batting group," he stated. "The key is not to panic too much in the field, when you see 300 being posted regularly as you have to back yourself as batting group to get those runs or set a big target when batting first, which I believe when we played last time, we didn't have the composure," he reasoned.